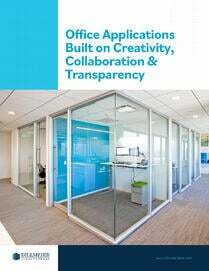 With stories featuring successful DIRTT Dealers, design firms and architects, this inaugural issue of Reflections Magazine is filled with informative and entertaining content! 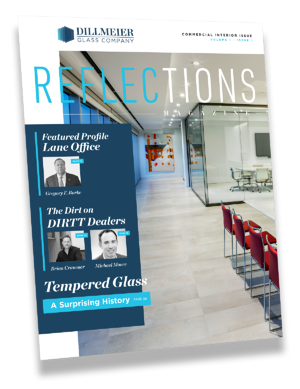 The Dillmeier Glass Company is distributing its first issue of Reflections Magazine, a print publication dedicated to sharing compelling stories about commercial glass and the professionals involved in the industry. From the discovery of glass to the fabrication process, Reflections Magazine covers topics that remind us of just how incredible glass is, and its ability to help transform an interior space. To receive your complimentary copy of Reflections Magazine, please submit your name and mailing address below.